We focus on meal times during annual special festivities and personal anniversaries, but sitting down to break bread together is something that should always carry a sense of ceremony. 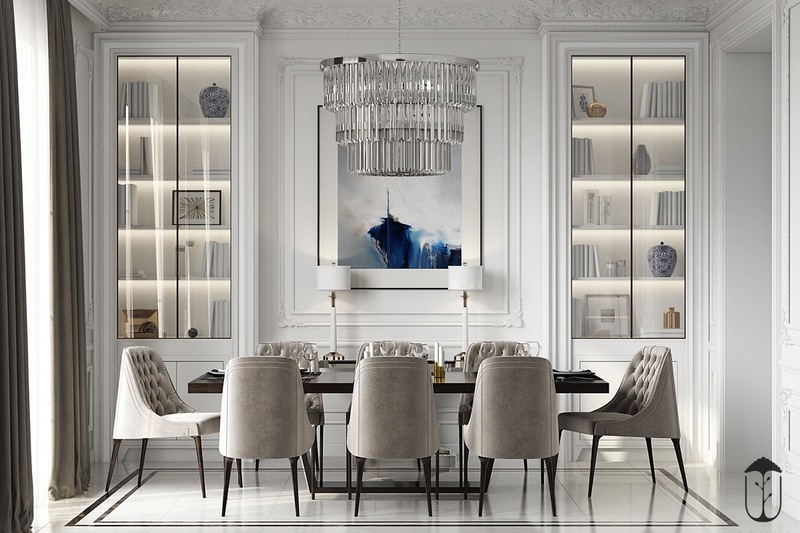 Enjoying this daily activity with the added shine of a luxury dining room design means that every day can feel like a special occasion - without all the added prep and hoo-ha. 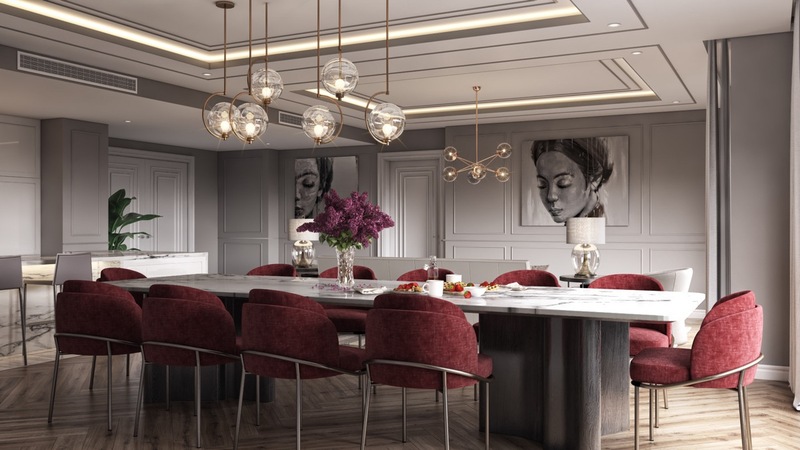 Inspiration for luxury dining furniture and decor can come in many shapes and forms, so we have put together a whopping 51 images of our favourite dining room decor schemes to draw inspiration from. Plus, we offer a few tips and tricks that can be adapted to fit many different room sizes and budgets. 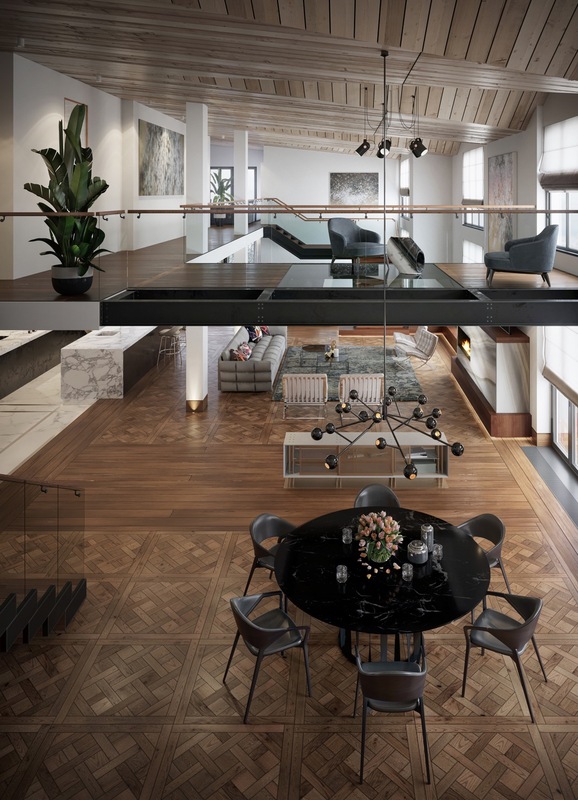 The ceiling is just as important as the floor – sometimes more so. 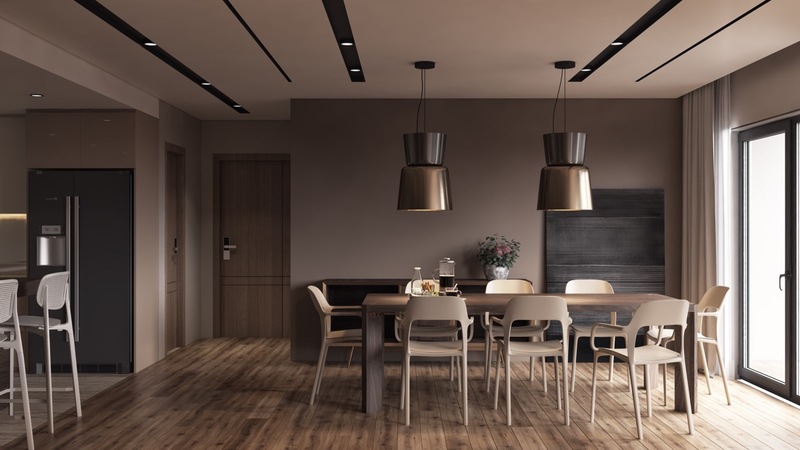 If you want to create an intimate feel for your dinner parties, visually lower a ceiling by installing a dark feature, like a stained wood slat design. This tip can work in just about any room dimensions but use caution on low ceilings, you don’t want to leave your diners feeling claustrophobic. A live edge dining table isn’t just for rustic cottages. Live edge tables are big news right now and there are sizes to suit all sorts of dining room floor plans. Define your dining area on a flat woven rug. 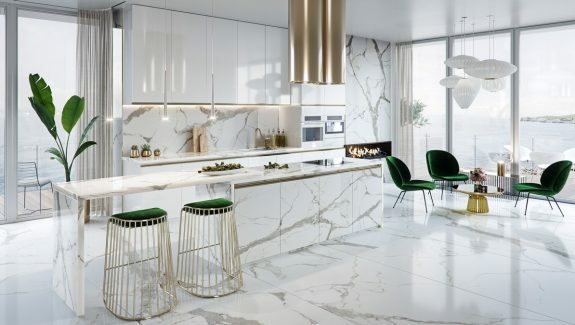 You don’t have to create an island of colour with your rug, even one in a similar tone to the existing floor will create a luxury island on which to welcome your guests. 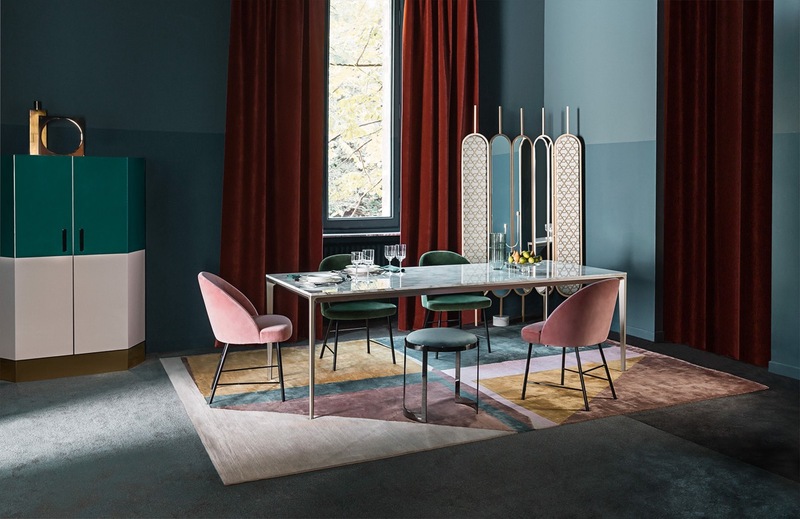 Accentuate the head and the foot of the table with a different colour chair – or a completely different chair design altogether. 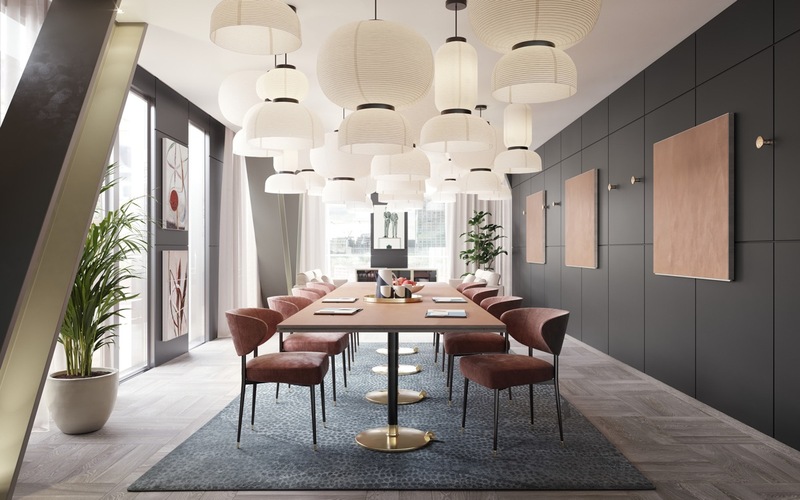 Use oversized dining room pendant lights in multiples to make a bold, expensive looking statement… Even cheaper lighting options can look high-end when set in twos or threes. If you’ve got the budget for one big stand out chandelier then it’s a great way to set a high-end scene. Add a stylish sideboard and a sparkling mirror. 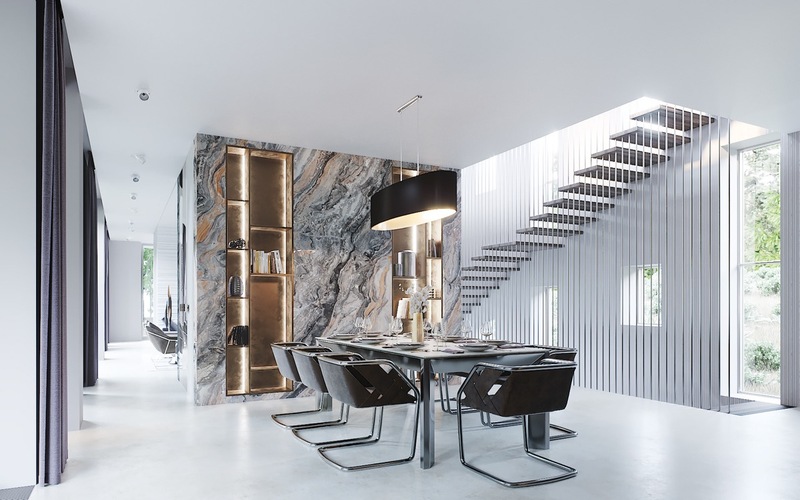 These ones are set against an undulating feature wall for added effect. 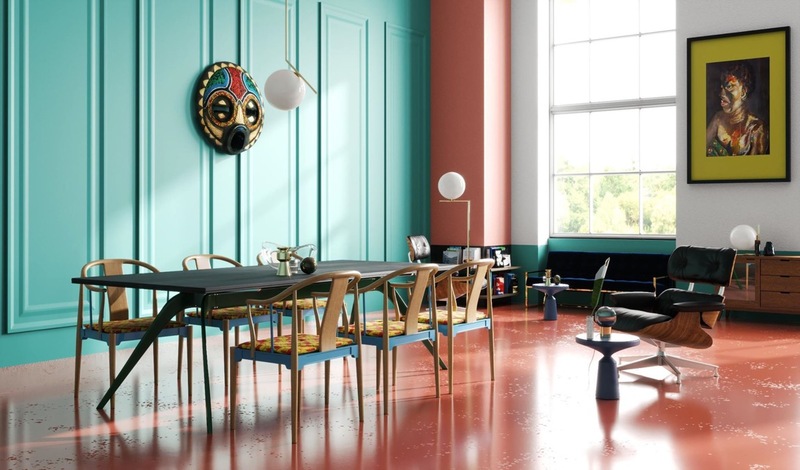 Use colour in unexpected ways. Not only do these glass globe pendants bring a cluster of rouge to the table, but ombre window drapes dip a toe into the blue spectrum too. Behind the monochrome dining set, a random section of wainscot has been picked out in a blush tone. Alternatively, you don’t have to be so subtle with colour. Great swathes of turquoise and red crash up against each other in this wide open space, where masks decorate the bright volumes. 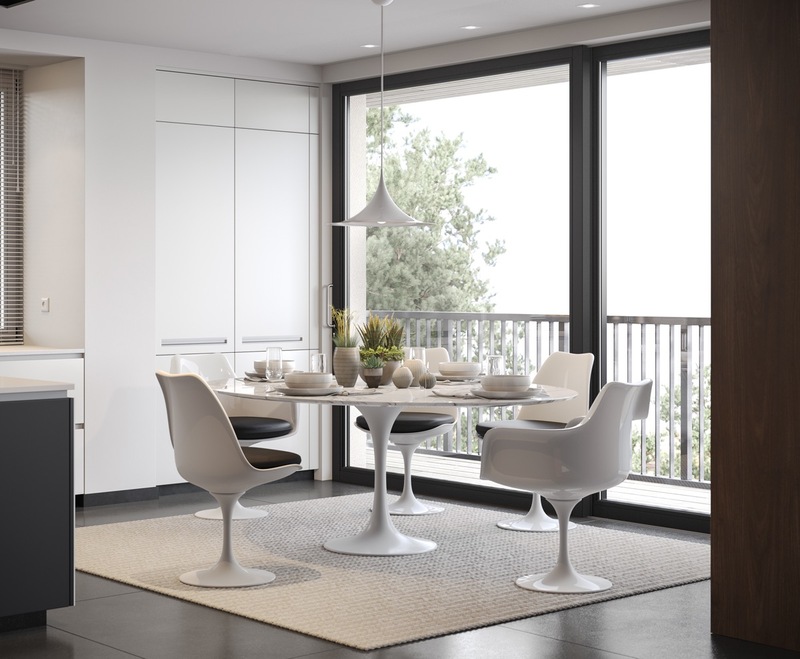 Use two different dining chair silhouettes to encircle your table. You can pick them out in similar shades for a subtle yet interesting effect. 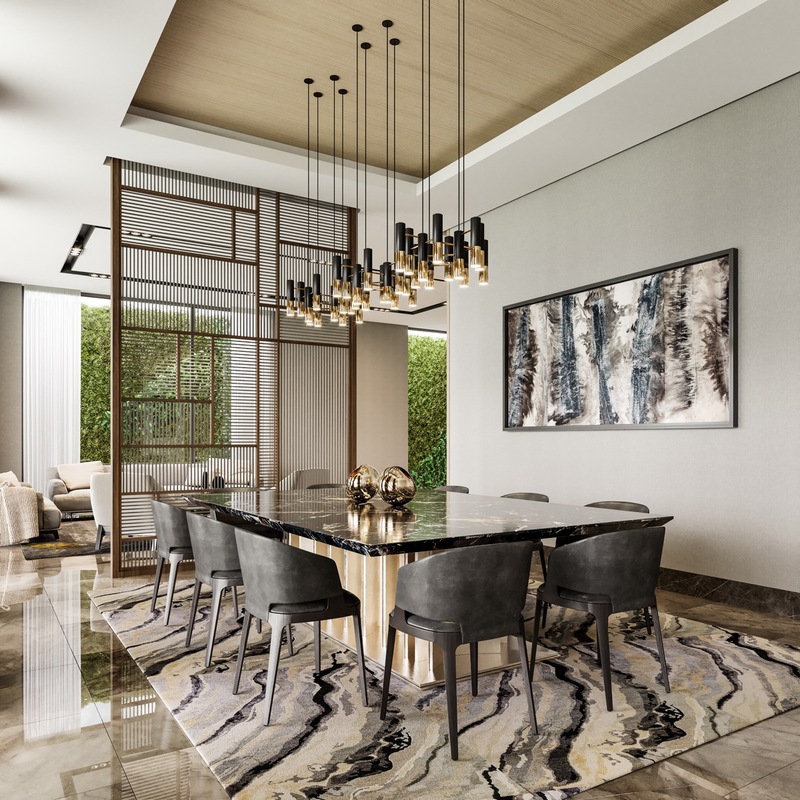 A black dining room looks decadent with gold trimmings and accessories, like this shining gold finish chandelier. 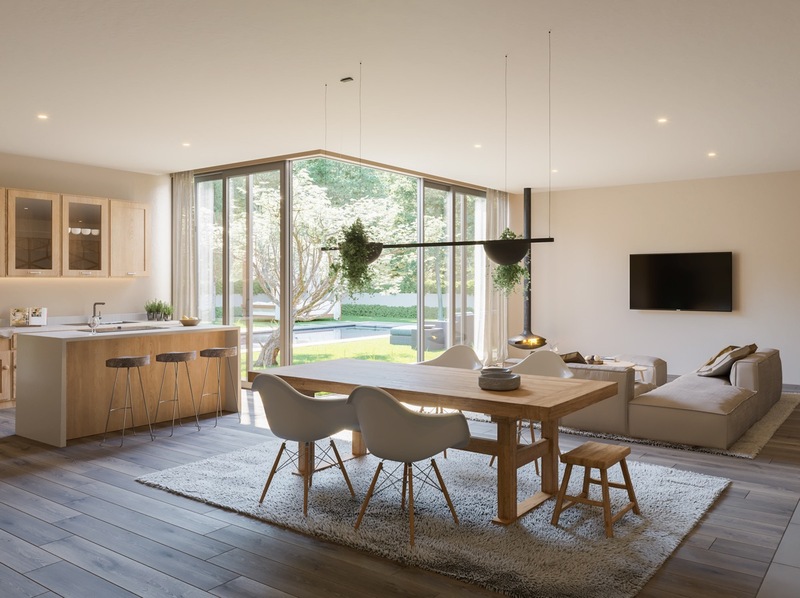 Change out the flooring beneath the dining zone in an open plan home. 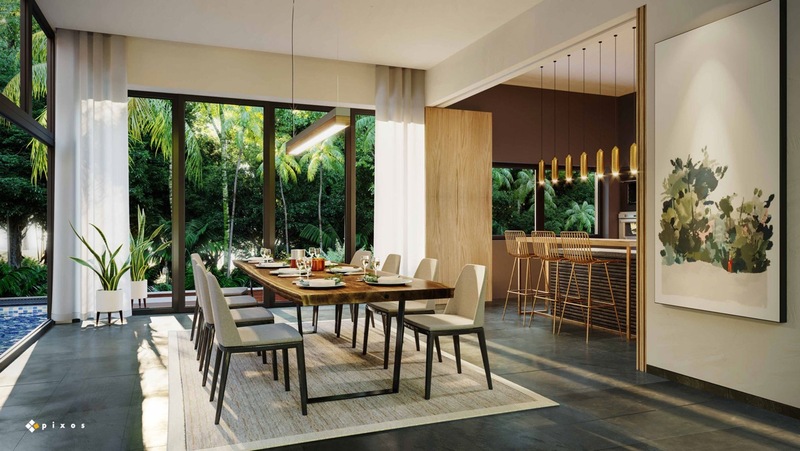 A large or linear dining table light is another effective way to anchor your table in an free-flowing living space. 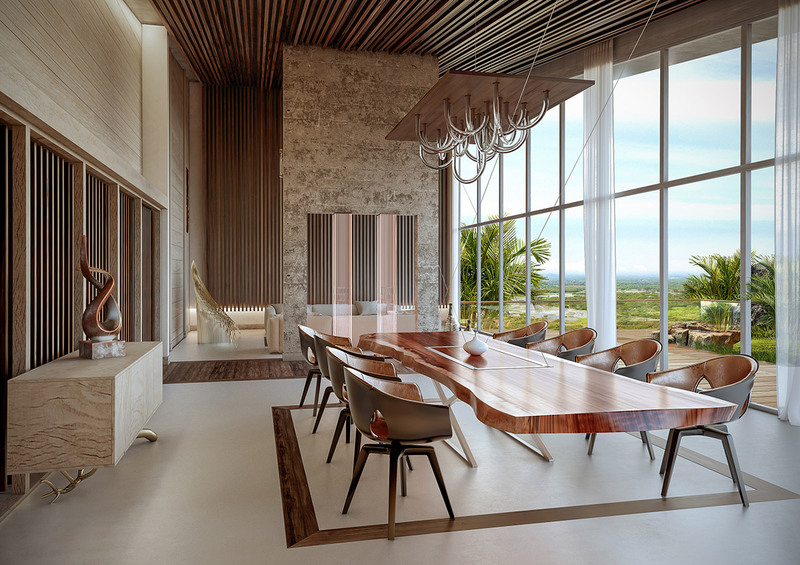 A formal dining area gives you options. You might be happy perched at the breakfast bar for most meals, or sitting out on the patio. However, you will be thankful for that formal eating option when festivities roll around and when hungry guests stop by. 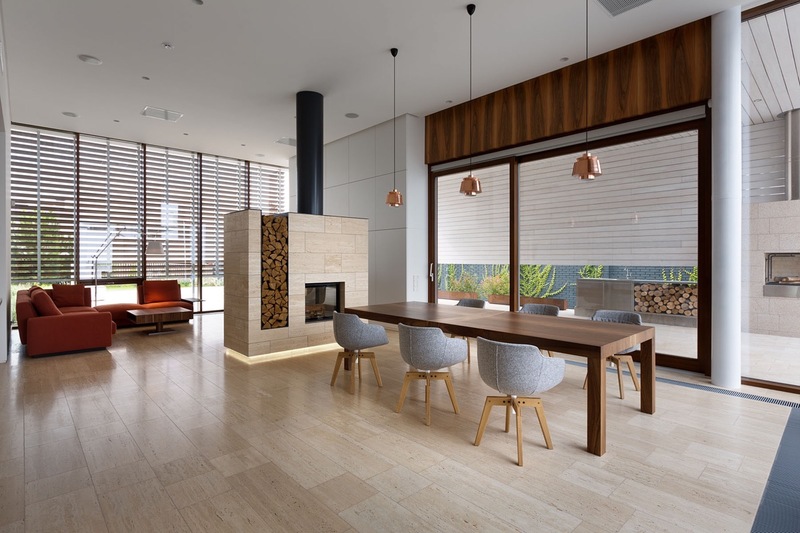 Create a warming effect with wall to wall wood. 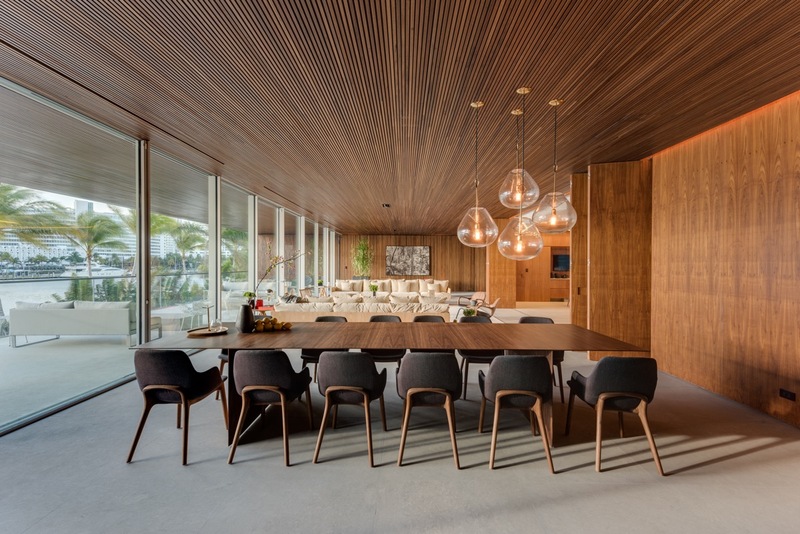 This sunny dining room is clad in wood panels and furnished with matching wood grain dining room furniture. 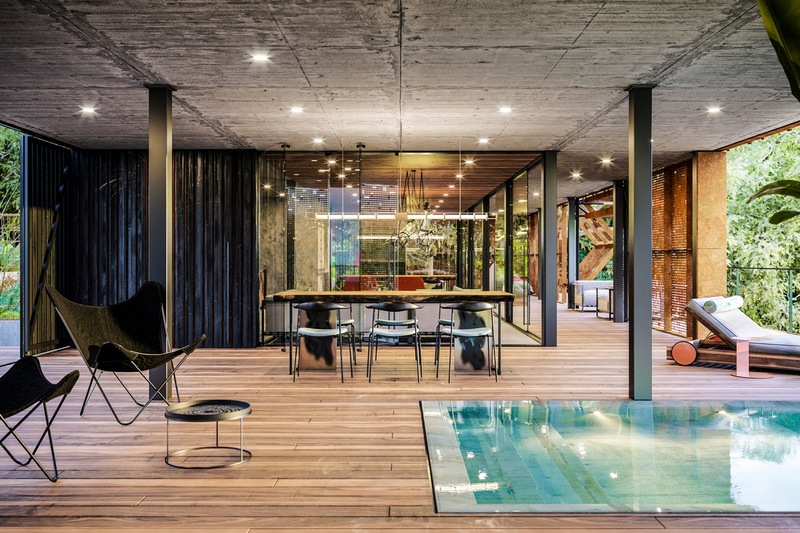 A concrete ceiling balances out the scheme with a cooler finish. 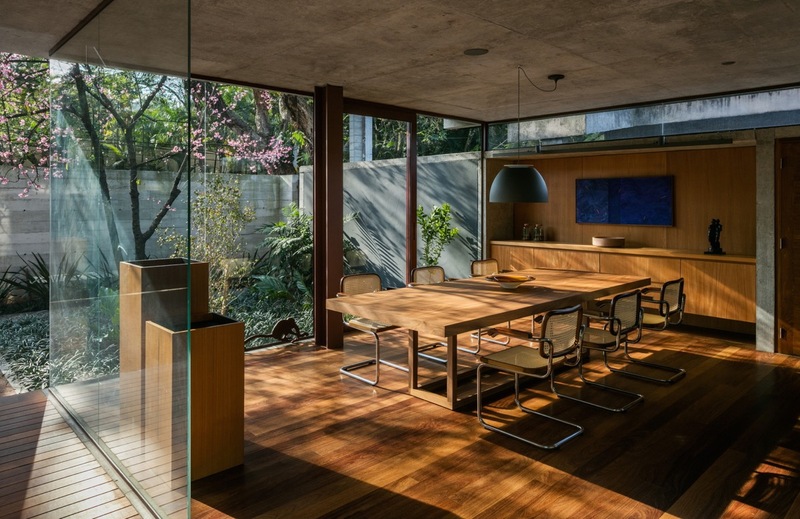 A glass exterior and dividing wall gives the natural toned room full views of the garden. 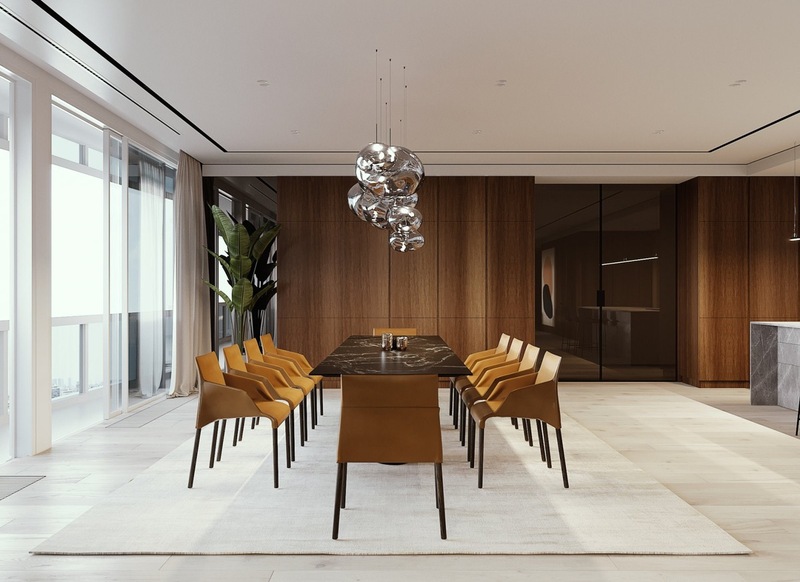 Suspend dining table lights close to the table – even from ultra high ceilings. 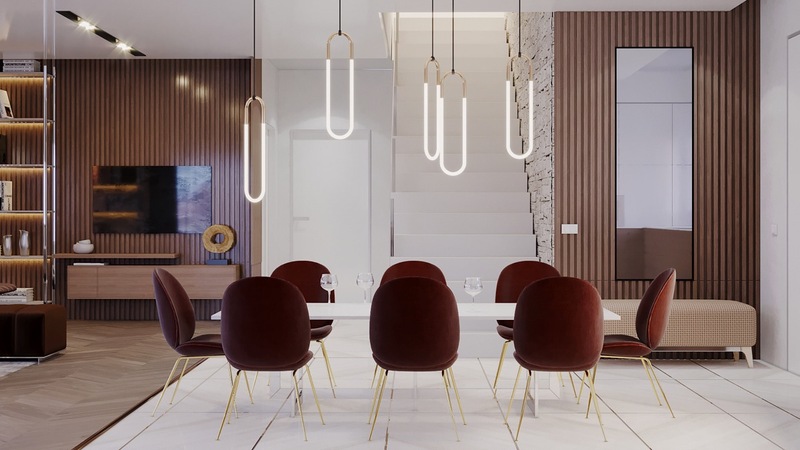 This fabulous design is the Vibia Match Suspension. If possible, consider installing a fireplace. This one has a log burning stove and integrated log store. 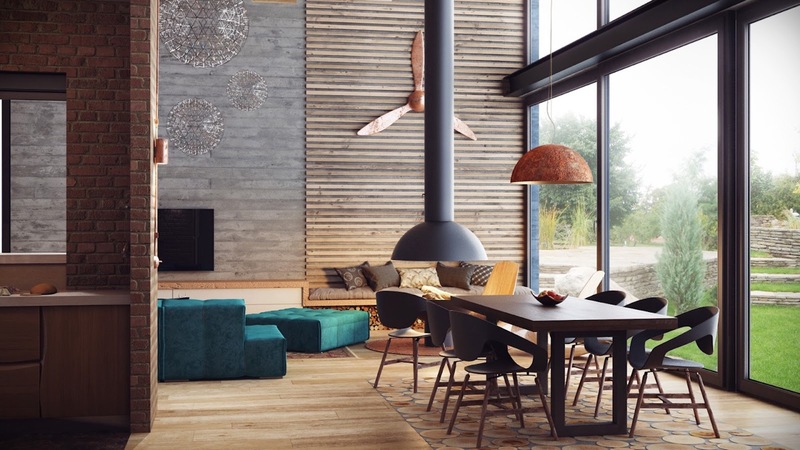 Copper pendant lights hang above a wooden table that matches the tones of the cut logs. The seats are Flow dining chairs. Bring in natural greenery. This dining pendant includes planters to bring the garden right to the table. 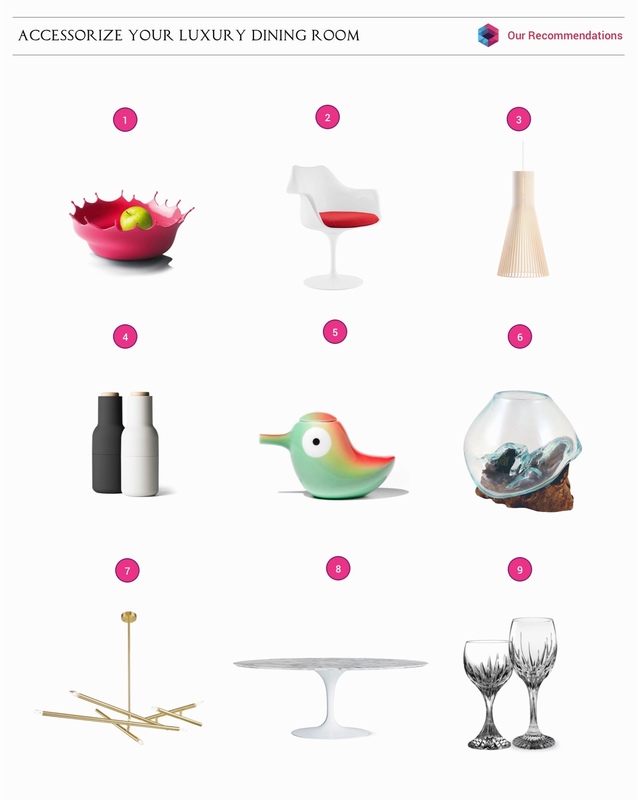 Dress to impress – the table that is. Use floral arrangements or classic candles to set the scene, even when the table is not in use. This floral centrepiece picks out the rich colour of the formal dining chairs. 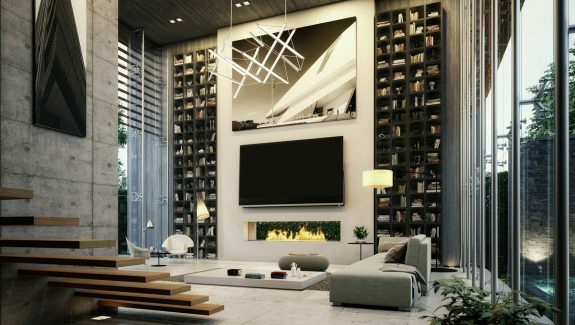 Add a reflective wall to double the sense of space. This can be done with mirrors, smoked or coloured glass, or high gloss panels. 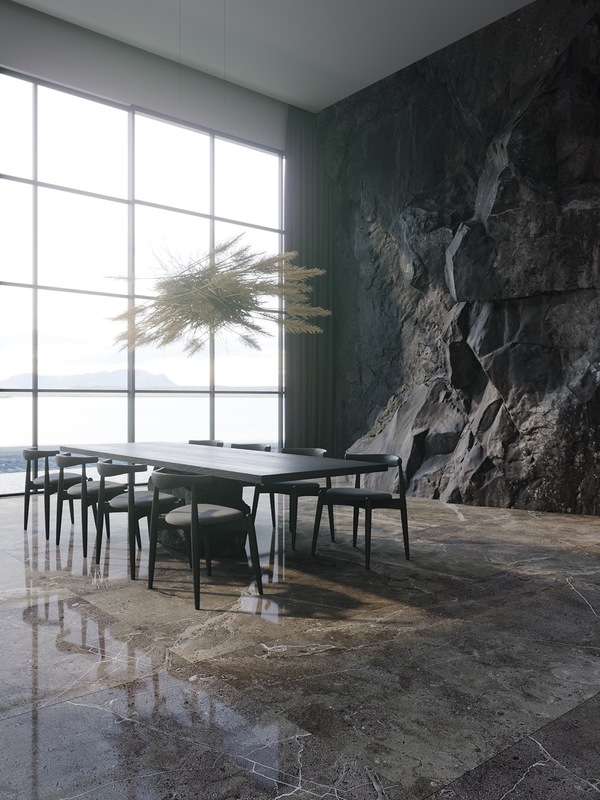 … Or a marble dining table and/or a marble effect rug. Decorate with shape. 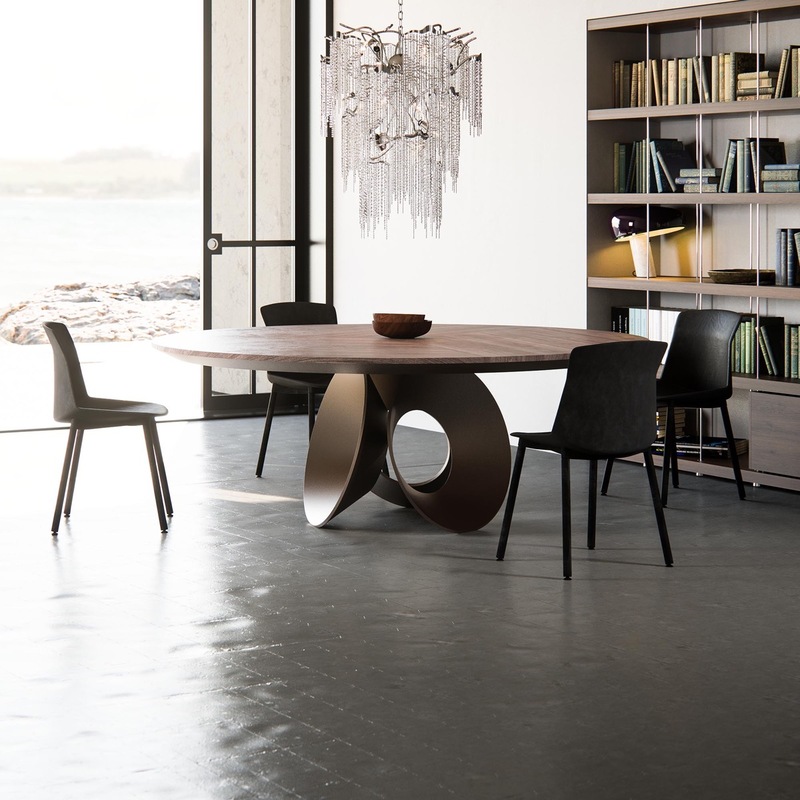 The circular silhouette of Platner dining chairs has great synergy with a Saarinen tulip table. Add elegance to a shadowy corner with an attractive screen. This is also a great way to disguise a bank of electrical sockets or cover up a small study area. Meld contemporary with traditional. 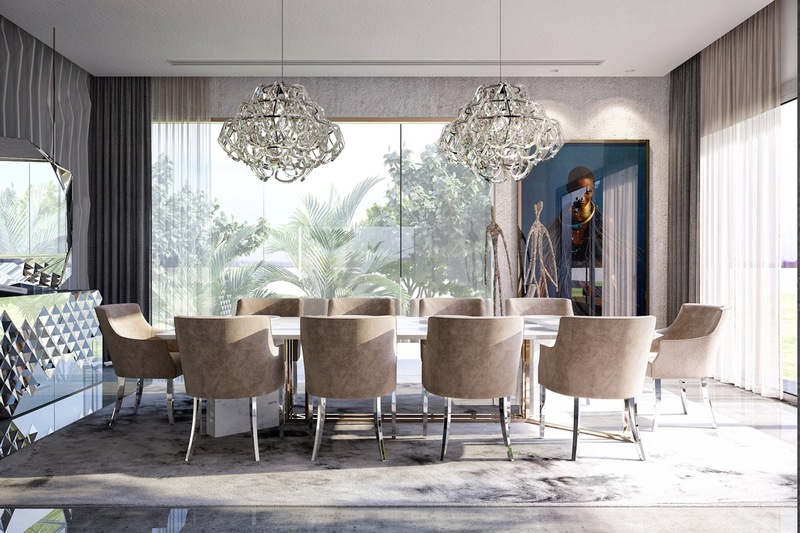 These chic modern dining chairs have classic tufted upholstery. 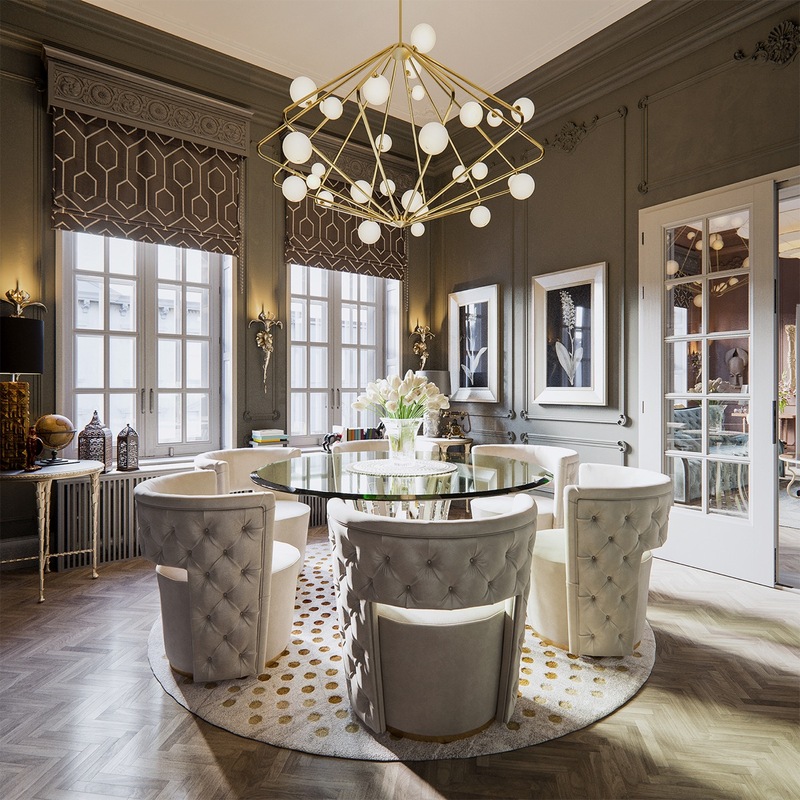 The room decor follows suit with the theme, with contemporary monochrome prints hung against a wall of boiserie. Fashion a feature wall, like this rustic exposed brickwork wall that’s cut through with a marble stripe. Give amazing tables room to breathe. 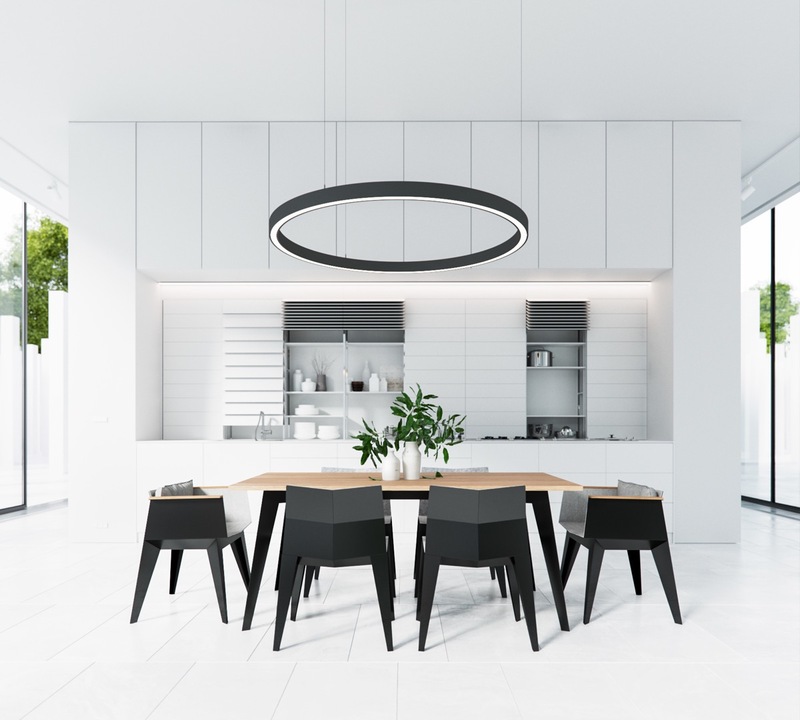 Another strong shape theme; this time with elliptical pendant lights complementing the outline of the Gubi Beetle chair. Match without repetition. 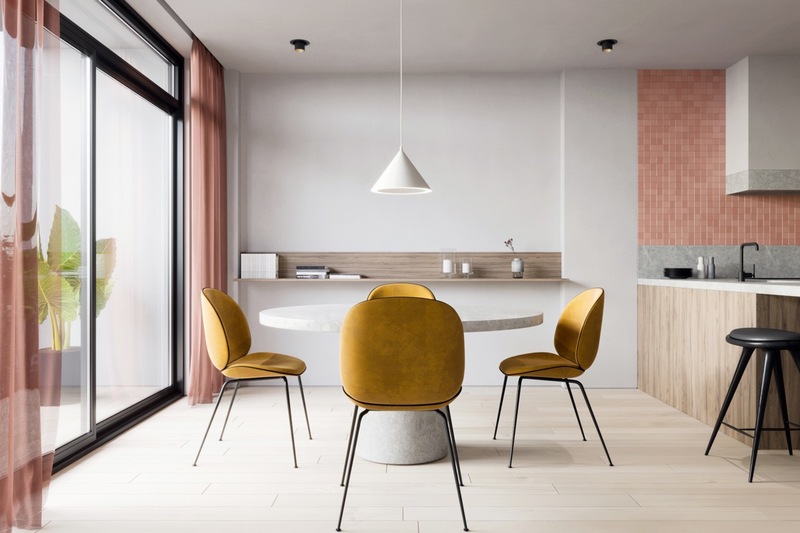 Pick out a dining chair design that is available in several different colourways and purchase a varied selection. 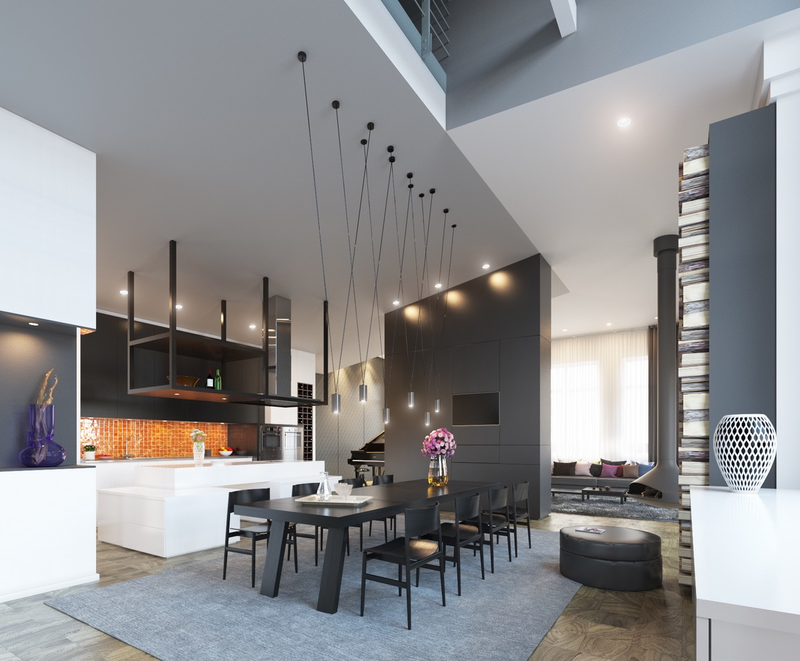 Change up the lighting by selecting two chandeliers or pendant lights that share similarity without being identical. Create a cocoon of calm. If a thoroughfare runs alongside your dining area, or the table is adjacent to a busy wall of doors, consider installing a buffer. Slatted screens are a great way to divide the space without closing it in. 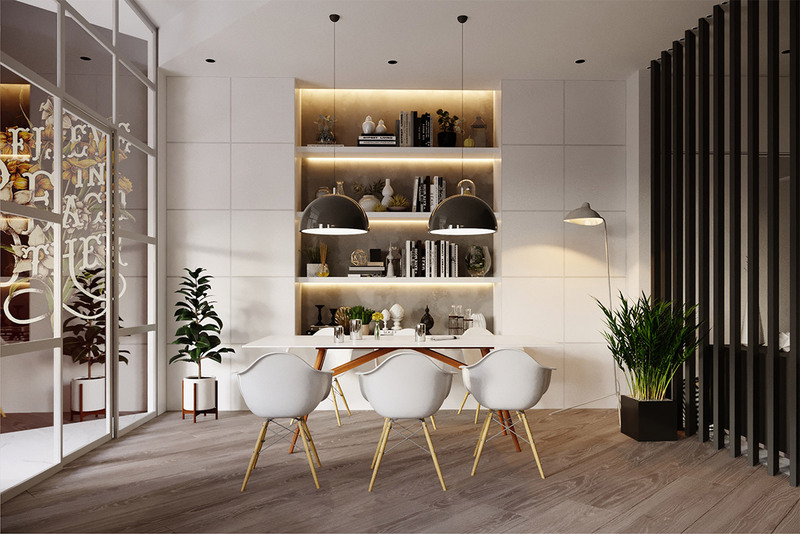 Backlit dining room cabinets add a cosy glow. Float a shoal of paper lanterns over the table. The grouping will create a sculptural attraction by day and a glowing spectacle by night. 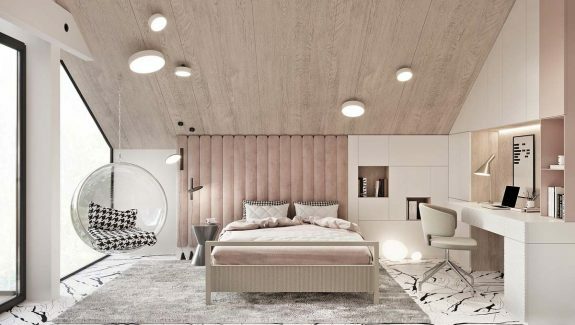 The ones used here is the Formakami JH pendants. 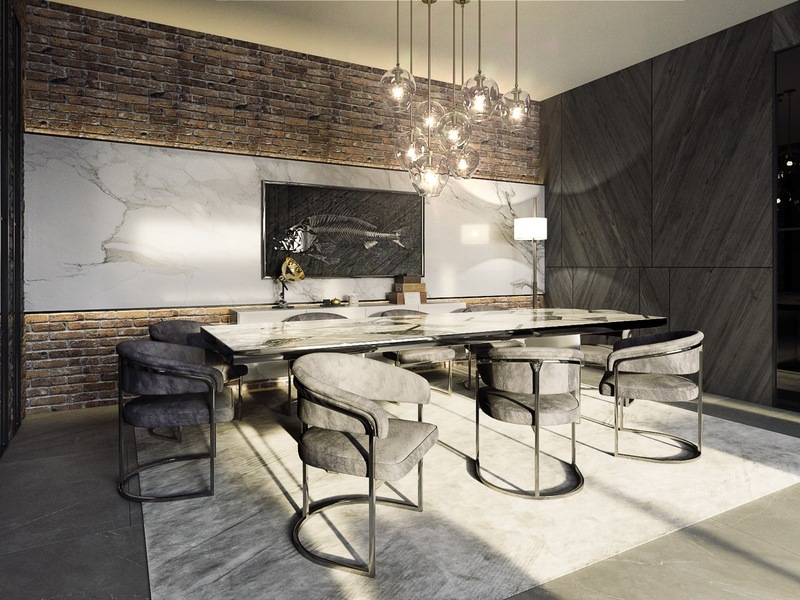 Create a luxury rustic dining room by teaming natural wood and raw brickwork, or stone, with sleek modern pieces. Not all dining areas are confined indoors; blur the boundaries for a luxury al fresco dining experience. 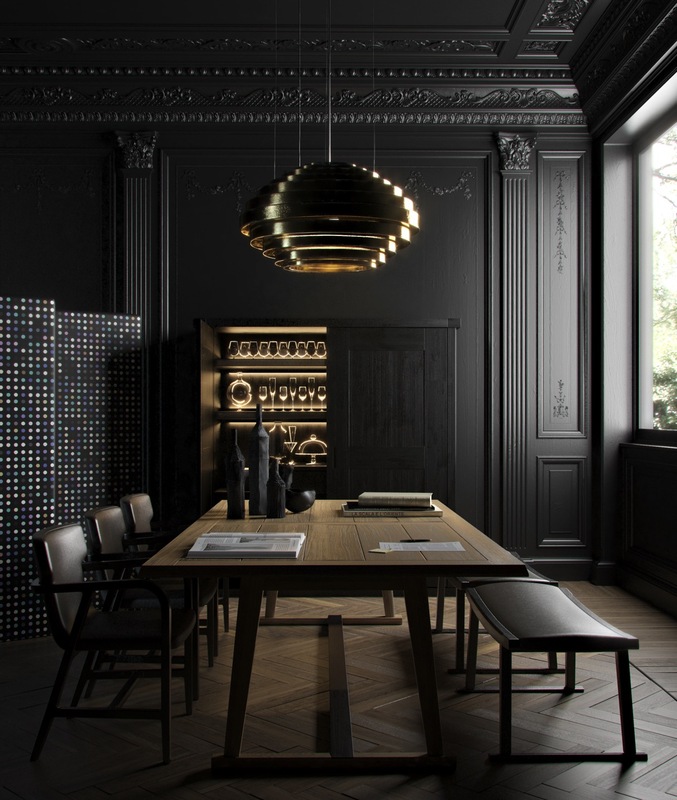 Don’t fall short on exposed ducting and metalwork accessories to manufacture a luxury industrial dining room effect. A large lazy susan ensures everyone is served smoothly. Brighten up an existing suite by adding new additions. 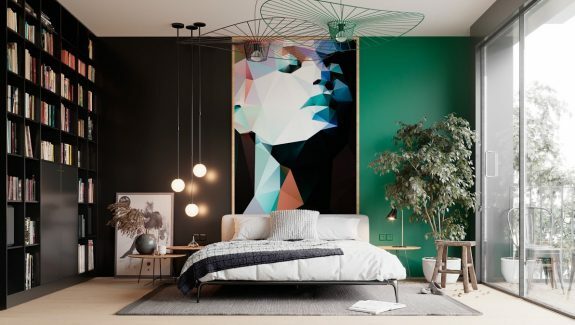 A colourful designer chair at either end will transform the look. If there isn’t room for a sideboard in your dining room, try a long wall shelf to create a display instead. 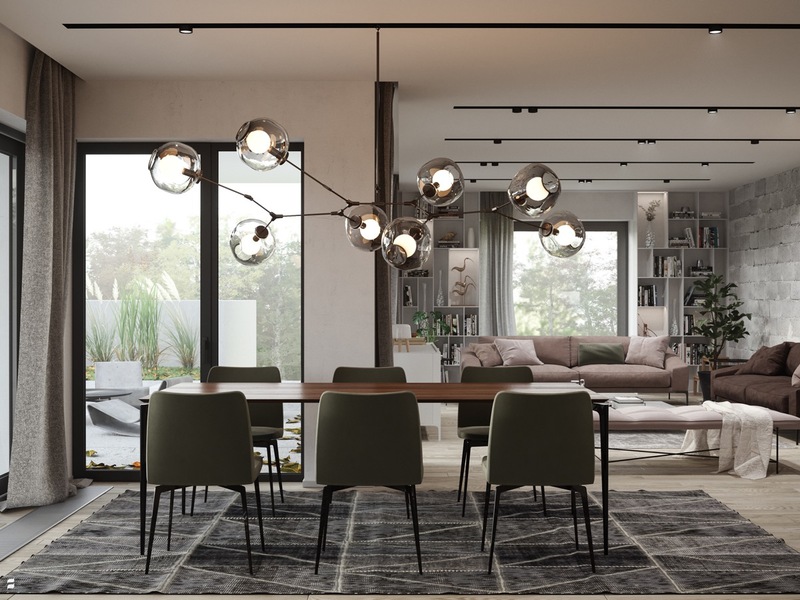 Traditional crystal chandeliers add sparkle for sure, but a modern chandelier can be just as eye-catching. 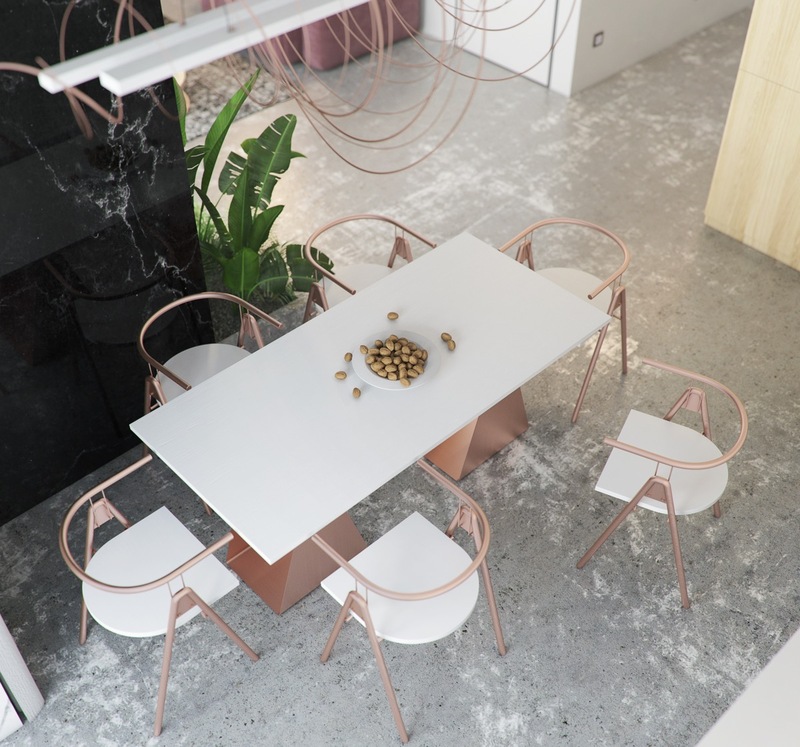 Enrich a white scheme with precious rose gold. 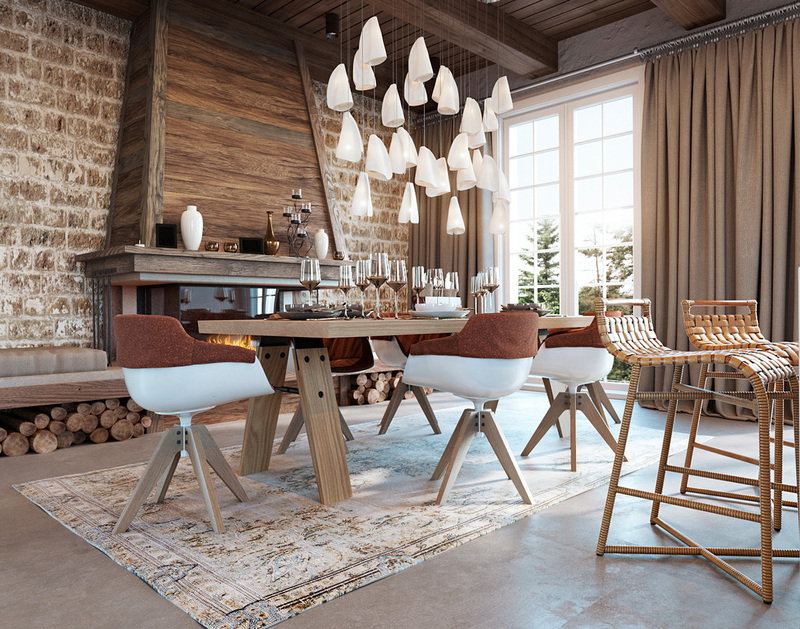 Choose a dining table chair combination that properly fits your space. 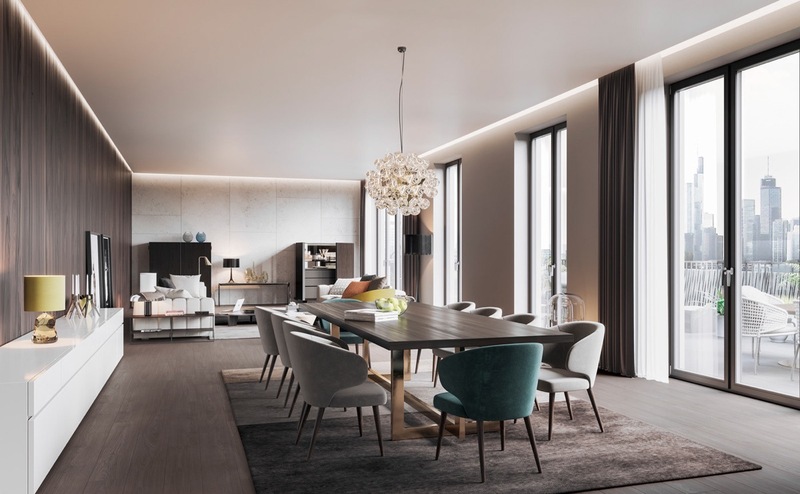 A small suite in a large room will look lost – but go to large and diners will feel uncomfortably packed in. Allow room for people to easily leave the table. It’s all about the glow. 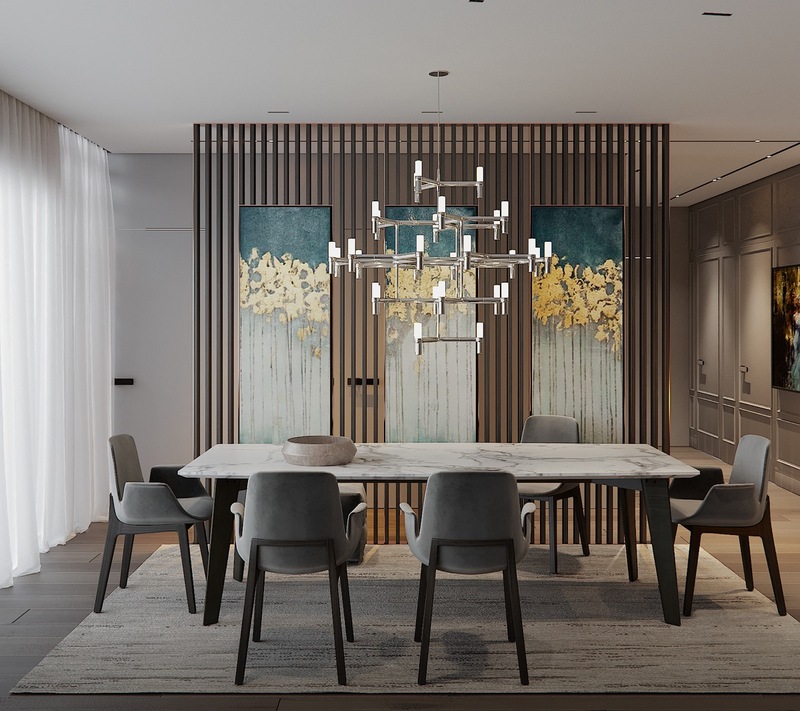 Dining pendant lights are top of the list for illuminating mealtimes but don’t forget to include side lighting to build ambiance. 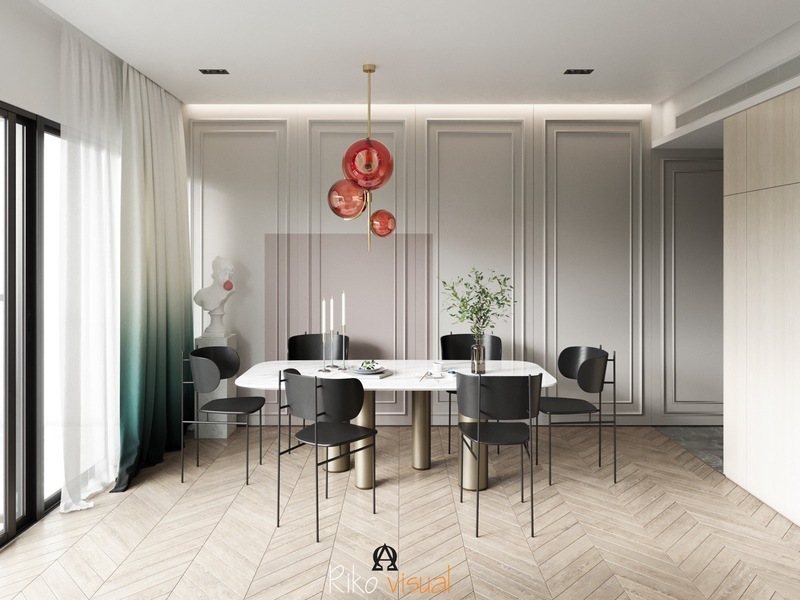 You may not currently have a dedicated area for formal dining, but a small luxury dining room can be fashioned in all sorts of spaces. 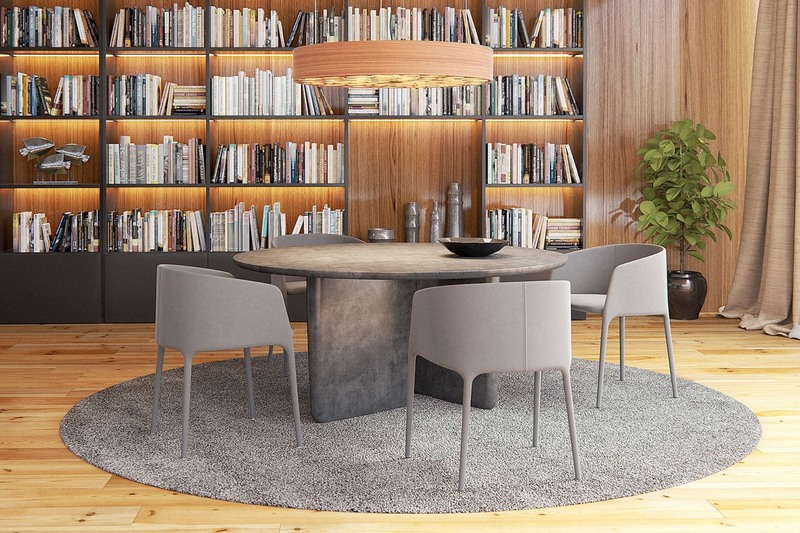 This table and modern dining chairs are situated right by the home library stacks. 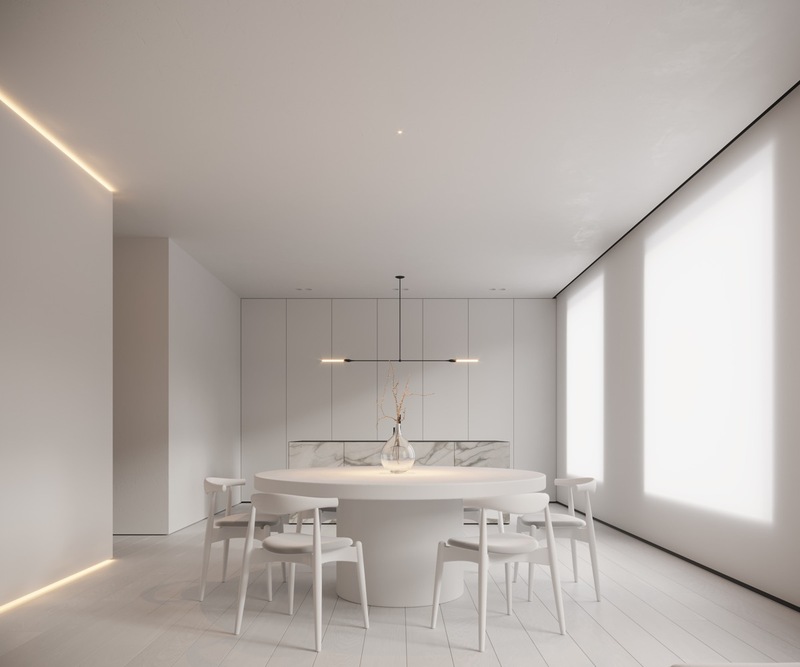 … Or a cool minimalist dining room design. 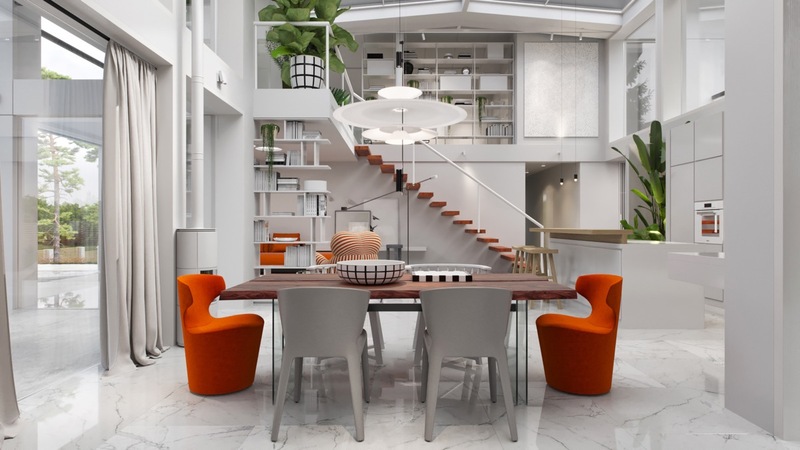 A dining area can run directly off a kitchen island. 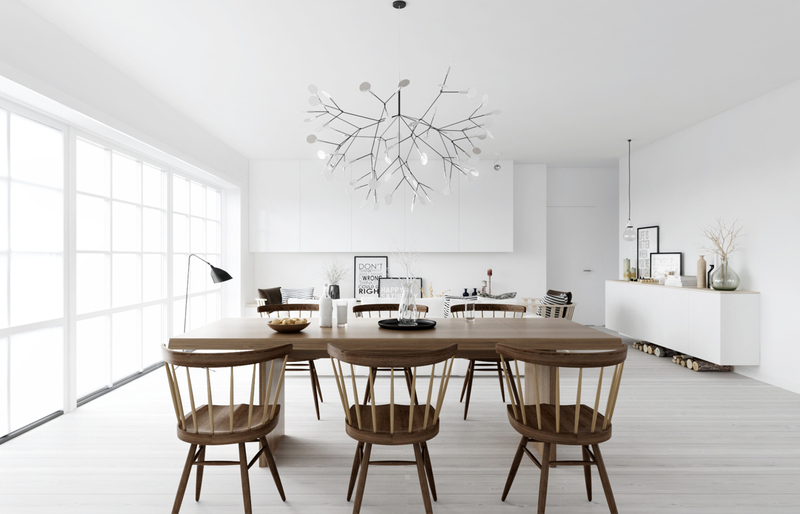 Add a low hanging pendant light by the dining stools to set the tone. 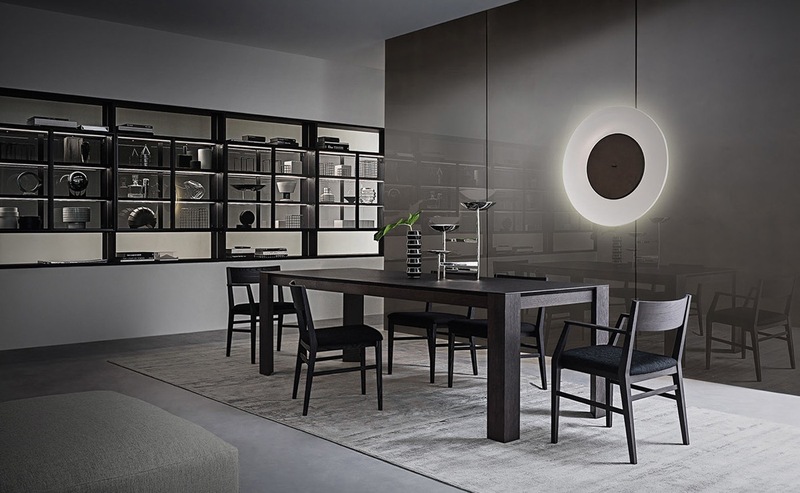 The striking contrast of a black and white dining room is sure to impress any taste. 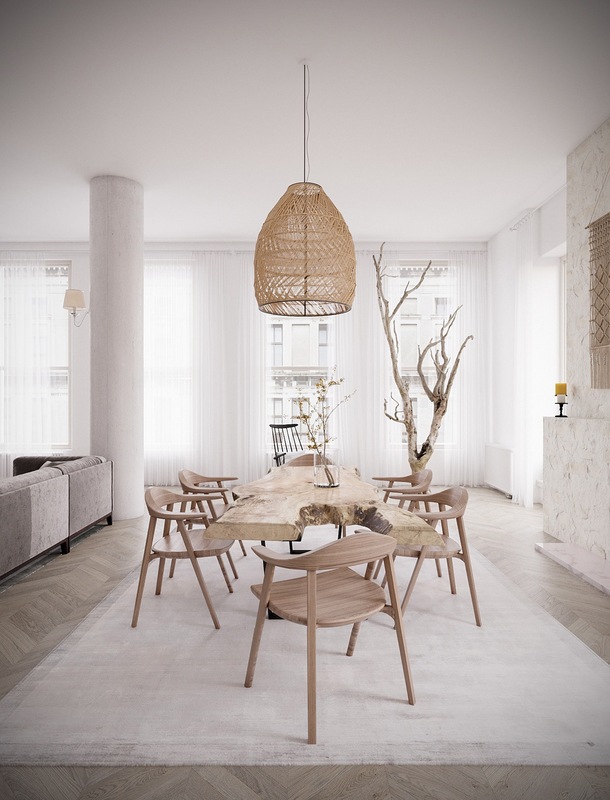 A nomadic dining room features natural textures and items that seem to have their own story… You just can’t help but think about the past life of that dramatically gnarled live edge dining table. 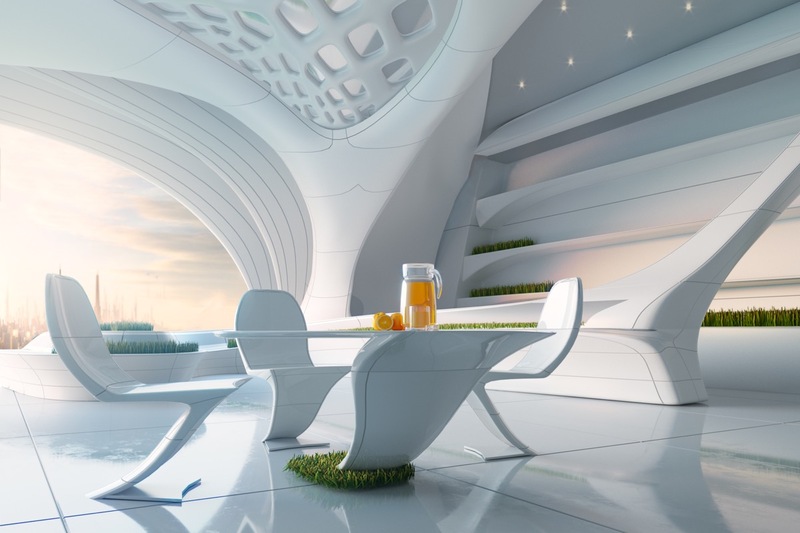 Time travel into a futuristic dining room. 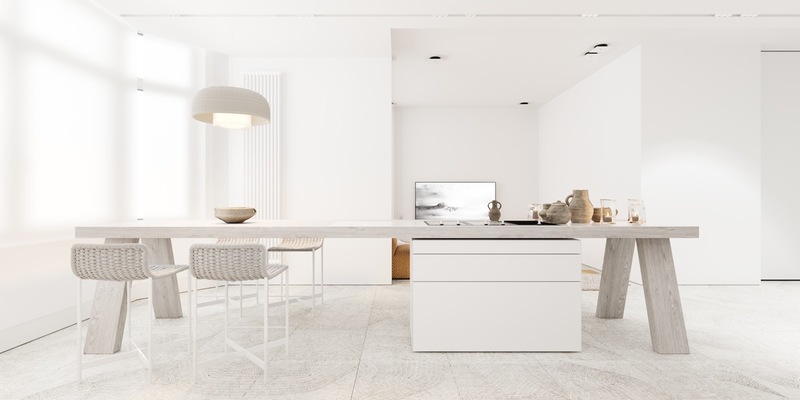 A bleached-out white on white design lands a perfect space age look. Enliven the beat-up industrial look with some eye-popping colour. 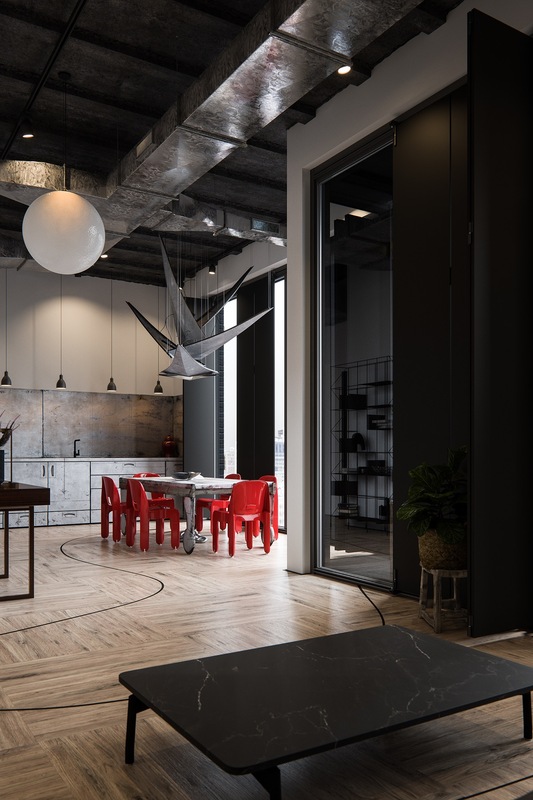 A meandering path leads the way to an upcycled dining table in this open plan industrial style home; the metal table has been coupled with a set of fire engine red dining chairs. Find drama in your natural surroundings. 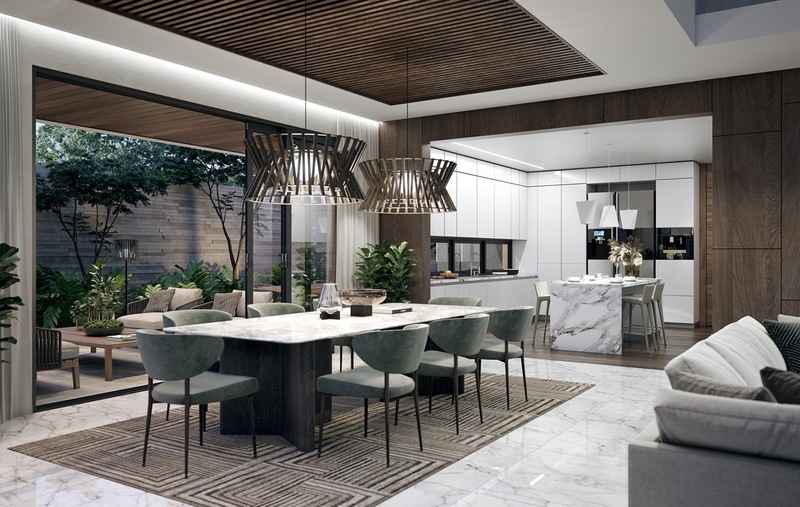 From the awesome rock face feature wall to the organic lightshade, this luxurious dining room celebrates all that is natural and part of this home’s magnificent location.